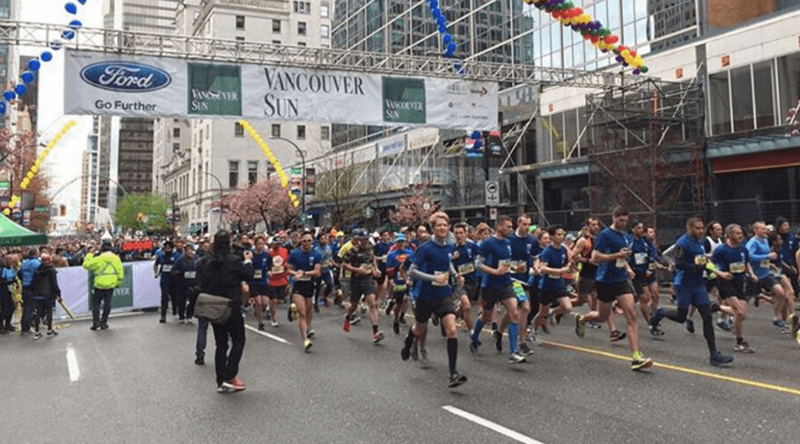 The 35th Annual Vancouver Sun Run is taking place this Sunday, April 14 at 9 am, and will impact transit, roads, and may restrict parking and access to and from certain building along the route. 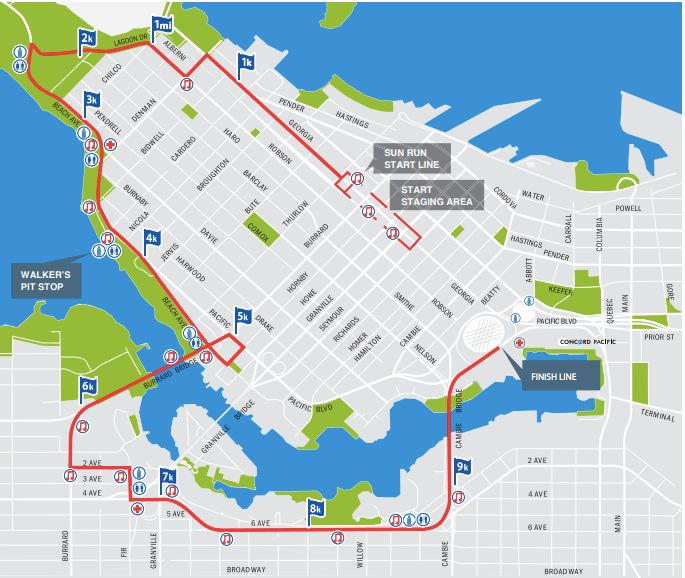 More than 40,000 participants are expected to race down the 10km course which starts at Georgia and Burrard street. Various road closures will be in effect between 5 am and 1:30 pm. Expo and Millennium Line trains run half an hour earlier, with first trains leaving between 6:30 and 6:45 am. Service will be running more frequently until 2 pm. Canada Line trains start service at 4:48 am as usual, with more frequent service beginning at 7 am. The train leaves Waterfront on the return trip at 1 pm. Eighteen bus routes on and around the Sun Run route will be detoured from start of service until 2 pm. Check Trip Planner for exact details. Service starts an hour earlier with the first vessel leaving Lonsdale Quay at about 7 a.m. and sailings every 15 minutes until 9 pm.